Whilst equities saw significant weakness across the day, the VIX climbed, but only moderately, settling +2.4% @ 16.71 (intra high 17.56). If equities continue lower, VIX should at least climb into the 18.50/19.50 zone. What about this discrepancy between VIX and equities? It is difficult to say, but generally, when the VIX only gains a small amount (with equities very weak) it can be a leading warning to the equity bears that the down wave is nearing completion. As has been the case since late 2011, VIX 20s are hard to break above, and that remains the case in the current equity down wave. I suppose if we see sp'1910/00 next week, VIX might briefly break the big 20 threshold, but it sure won't be able to hold it for very long. 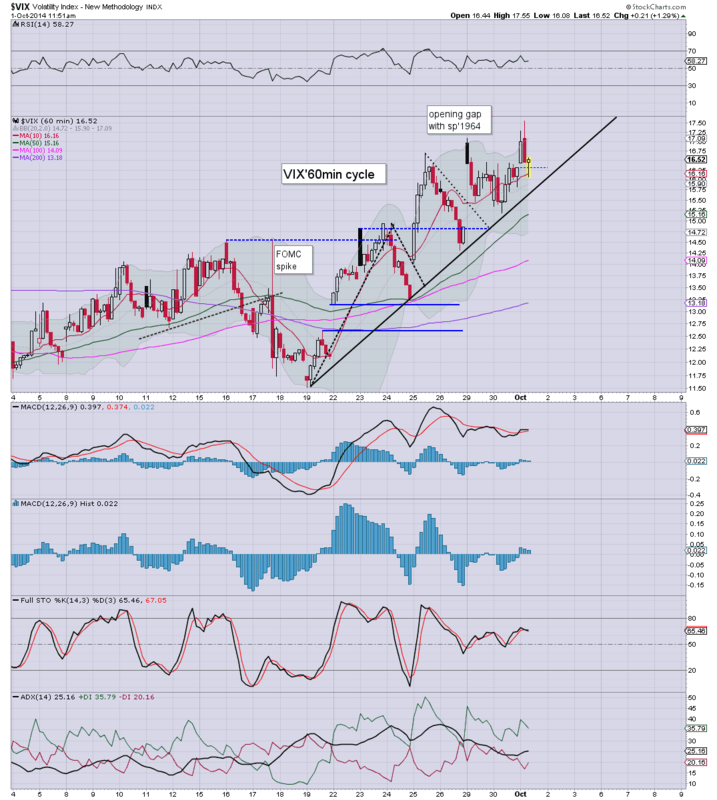 *as ever, equity bears should be seeking a VIX weekly close above the 200MA, currently in the mid 17s. US equities saw some significant declines, sp -26pts @ 1946. The two leaders - Trans/R2K, settled -2.5% and -1.5% respectively. 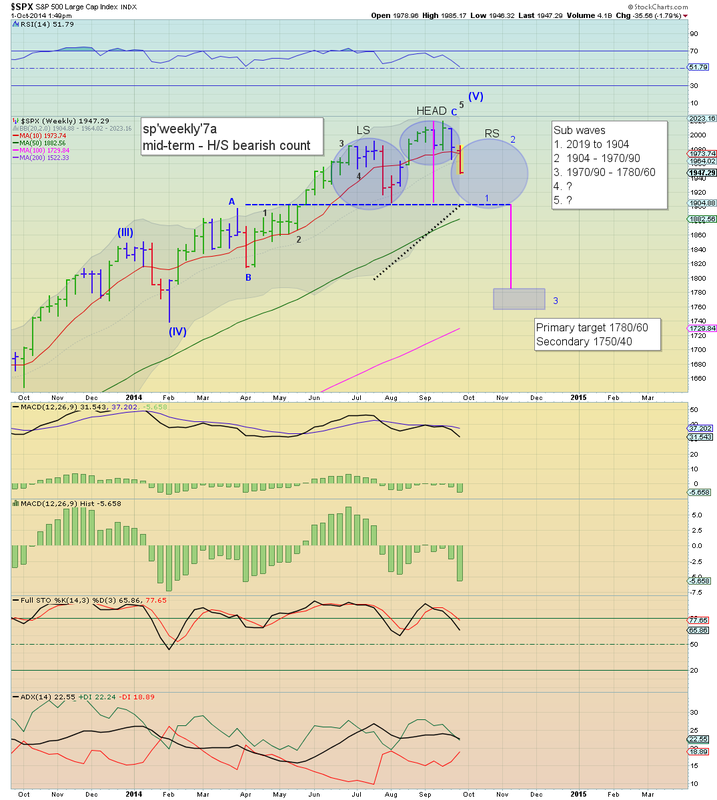 With this latest down wave, the door re-opens to a target zone of sp'1920/00. The one anomaly remains a relatively subdued VIX. Firstly, congrats to anyone on the short side today... frankly, I'm delighted to see the declines. Price action is pretty bearish, and there was a complete absence of the 'buy the dip' people today. The one anomaly remains the VIX, which only managed gains of 2% in the mid 16s... kinda odd. *I am on the sidelines..the only decent long would seemingly be from around sp'1920/00 zone. So.... a day for the bears, and though I ain't part of it, I'm pretty much delighted to see another wave of downside. As noted earlier, there is a really exciting H/S scenarion.. but that will require the sp'1920/00 zone.. no later than next week. To those on the short side today.... congrats. 3.11pm.. R2K 1083... the CRITICAL level is about to break. 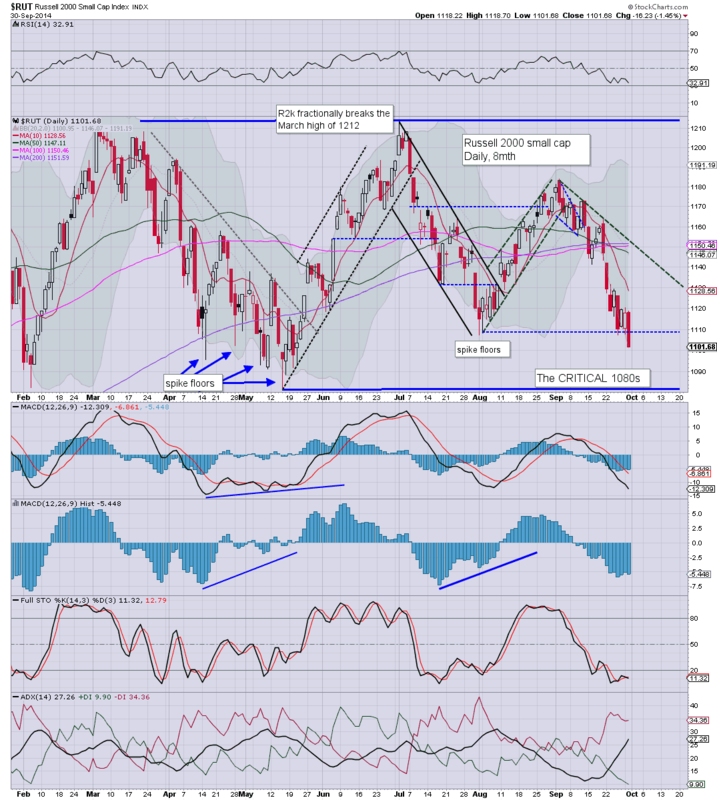 3.25pm R2K 1083.... still set to lose the critical 1080s by the close. 3.35pm... micro bounce..but really, this is still very weak... who the hell would be buying into the close anyway? VIX +4.5%... still failing to confirm the declines. US equities continue to slide, and the equity bulls appear entirely unwilling to 'buy the dip'. VIX is still largely failing to reflect the weakness, higher by just 5%. In theory, at the current rate of decline, the market could be in the 1910s by late Friday. Considering the current price action, there now seems zero sense in going long...even for a short term bounce...overly risky. The one key problem remains the VIX. Even though I'm not short, it is annoying to see the VIX not +15% or so... and failing to confirm the equity declines. For now.. it is a mere 'hope'... and is ENTIRELY dependent on the 1920/00 zone being hit..no later than end of next week. 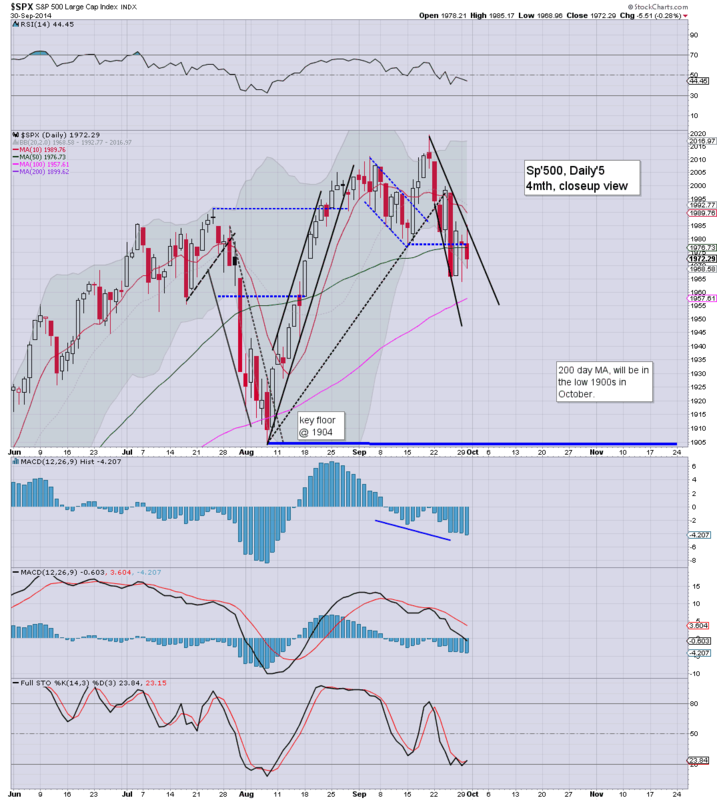 2.12pm.. Equity bears could do with a close in around 1940 to really cause some problems for the rest of the week. .. but neither will I short. 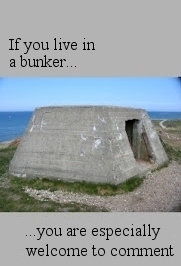 I suppose some could laugh at that.... but still, at least I'm not getting nailed today. Those would be trade levels I would be completely fine. For now...lets see if the bears can push lower... with 90mins to go. Notable weakness; TWTR -4%, FB -3.3%... all the momo stocks getting hit pretty hard. Whilst US equities are breaking new lows, the most notable aspect remains the VIX, which has almost entirely failed to confirm the equity weakness. 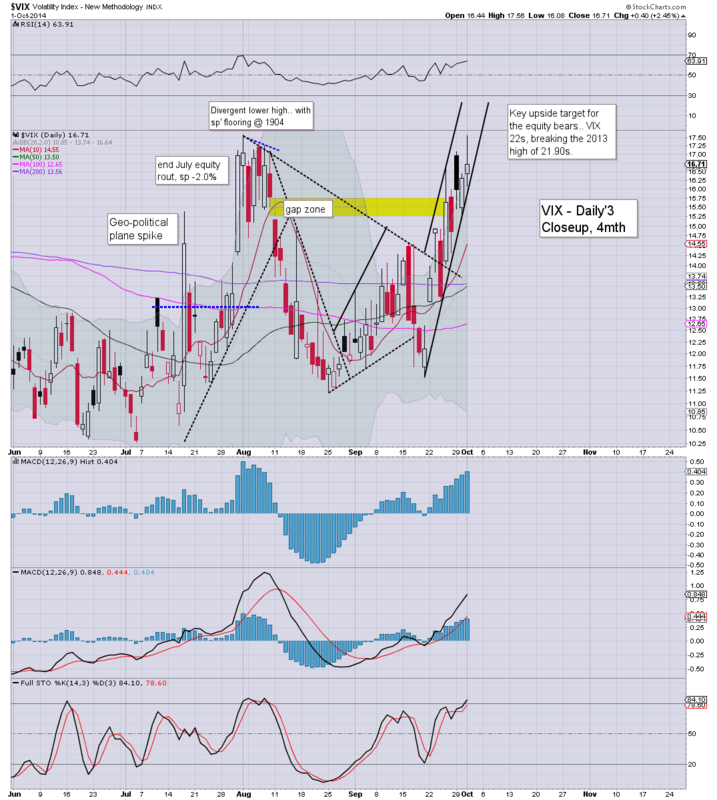 VIX is +4%... but should really be +15% or so, as based on the past few years... VIX is warning we're close to a floor. Were the VIX in the 18/19s today, I'd be open to continued downside, but right now, VIX is suggesting these equity declines are not the start of something major. As noted earlier... I will reassess around the typical turn time of 2.30pm... maybe we'll see a more secure floor by then. Its a damn tricky situation right now.... VIX is just not confirming things. Lets be clear... much lower to 1920/00 zone.. and a large H/S scenario will viable... but more on that later. 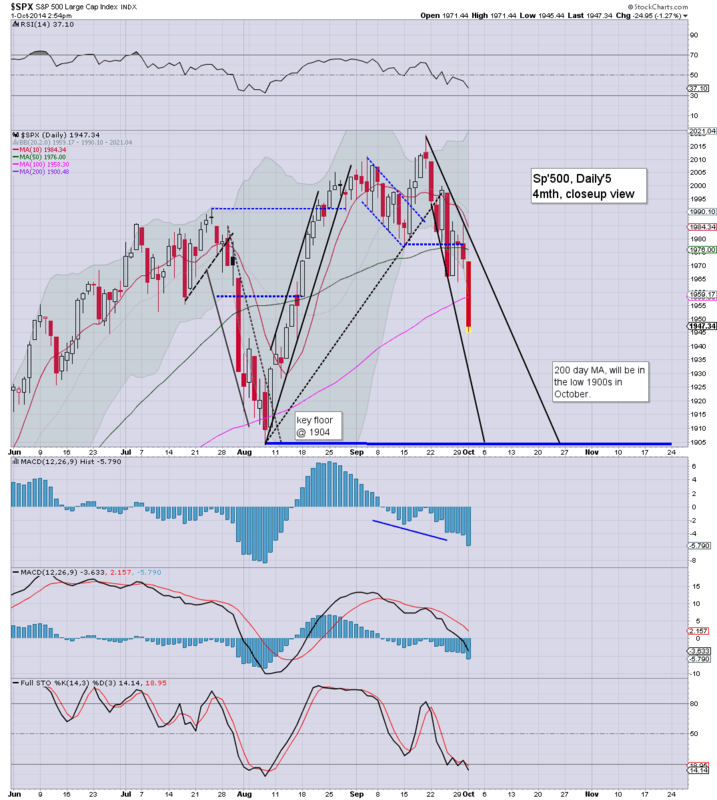 US equities remain moderately weak, with a floor sp'1954. There remains viable downside into mid afternoon.. but a double low seems very possible. VIX is not suggestive of further significant equity falls.. certainly, the 1920/00 zone looks well out of range. *price structure is currently a wedge. Suggestive of upside into the Friday close. Hourly MACD cycles for both VIX and equities are yet to show a definitive turn... and that is primarily why I am still in wait and see mode. For now, I will reassess at the typical turn time of 2.30pm. Which one is telling you the real story here? 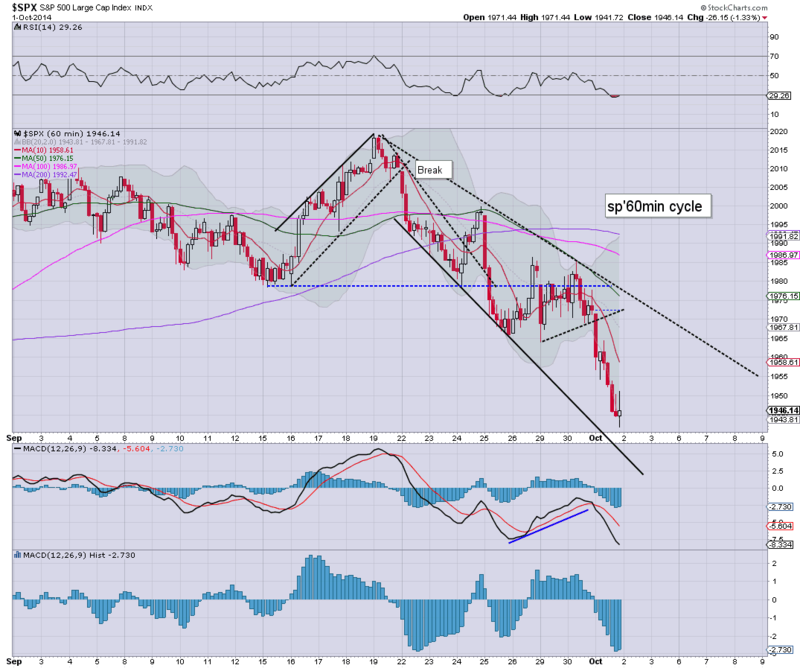 US equities are somewhat lower, hovering (on most indexes) around the 100 day MA. VIX is only moderately higher, +3% in the mid 17s. Metals are bouncing, Gold +$5, whilst Oil is +1.0%. *I realise some will be getting overly excited at this mornings down wave, but really...the VIX sure isn't powering strongly higher. We may have already floored around sp'1954...but for now..I remain a watcher. I am going to reassess at the afternoon turn time of 2.30pm... maybe we'll have put in a marginal new low around 1950...and then up. All things considered, still another chance a minor down wave to 2.30pm... maybe a double low of 1954? I am in no hurry to get involved today..... I think some extra patience will be...useful. US equities open moderately lower, and have quickly taken out last Thursday's low of sp'1964. VIX is confirming the move, with a marginal new cycle high in the low 17s. Overall though, price action does not favour a move much below 1958/55. Given another few hours, we'll probably be floored... and set for another climb...probably into the Friday close. *I remain on the sidelines. With the failure of the bears to show any sig' downside power across Mon/Tuesday, I've little interest in re-shorting the indexes. 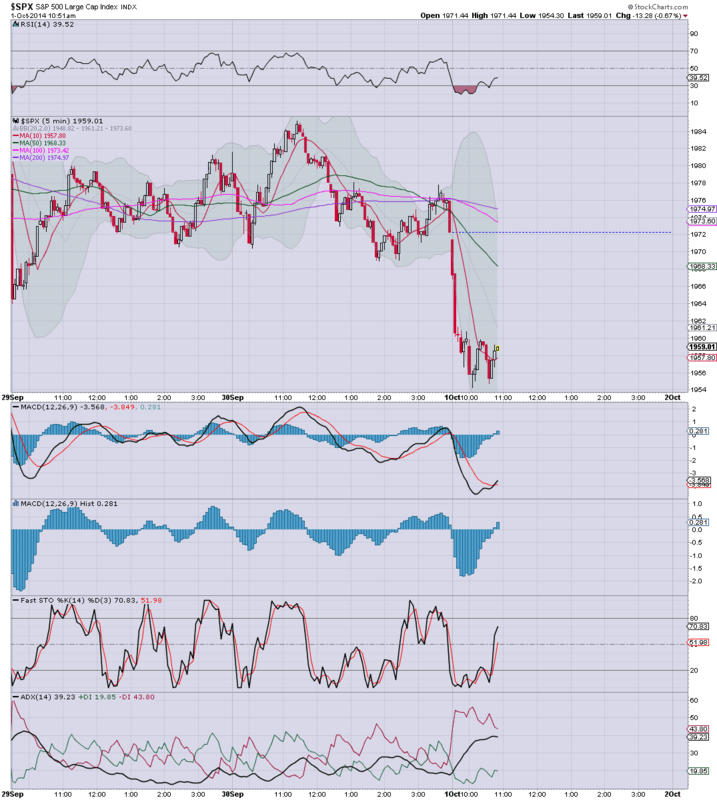 I will look to go long... somewhere around 1958/55... once the hourly MACD cycles level out. 11am would ..as ever.. be a typical time to put in a floor. Good morning. Futures are moderately lower, sp -5pts, we're set to open at 1967, just 3pts above the recent low. Metals are bouncing a little, Gold +$5.Equity bears have a chance of hitting the 100 day MA (1957) on a break of 1964. *ADP jobs: 213k, a little above expectations. So, we're set to open a little lower, and there is a valid chance of a break this morning. Still, considering the recent fail across Mon/Tuesday, I really don't expect anything much more for the bears. At best, maybe the 1950s... but we'll likely see a strong ramp from there.... not least with the Friday jobs data. 9.37am... 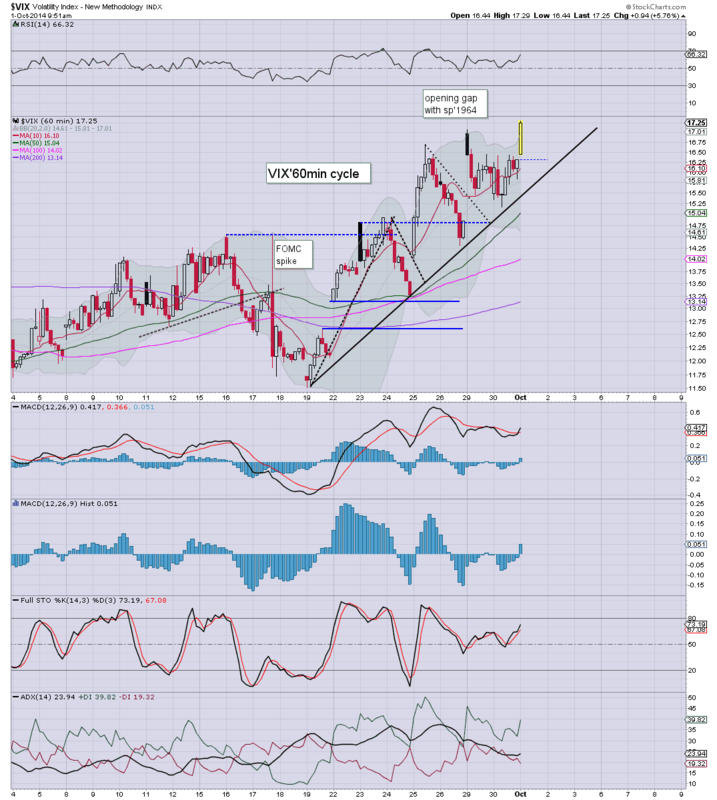 Slipping lower.... nothing too exciting..but 1950s look due... with VIX 17s. Even though the bears have largely failed across the last two trading days, US equities have closed September with net monthly declines, ranging from -1.5% (sp'500) to -6.2% (R2K). 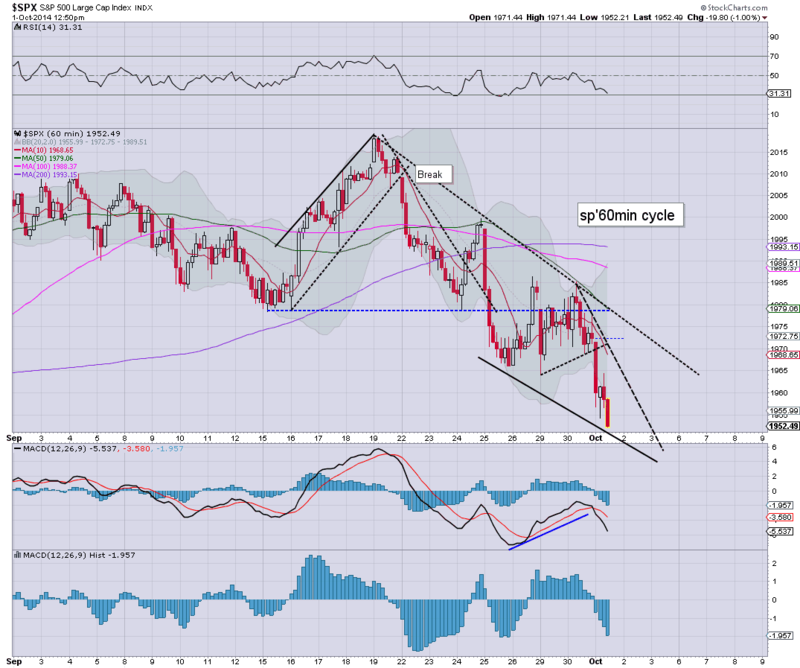 Despite the weak R2K, the broader market remains holding the primary upward trend. *with it being end month, I could be tempted to highlight a hundred other charts, but the above two will have to suffice. 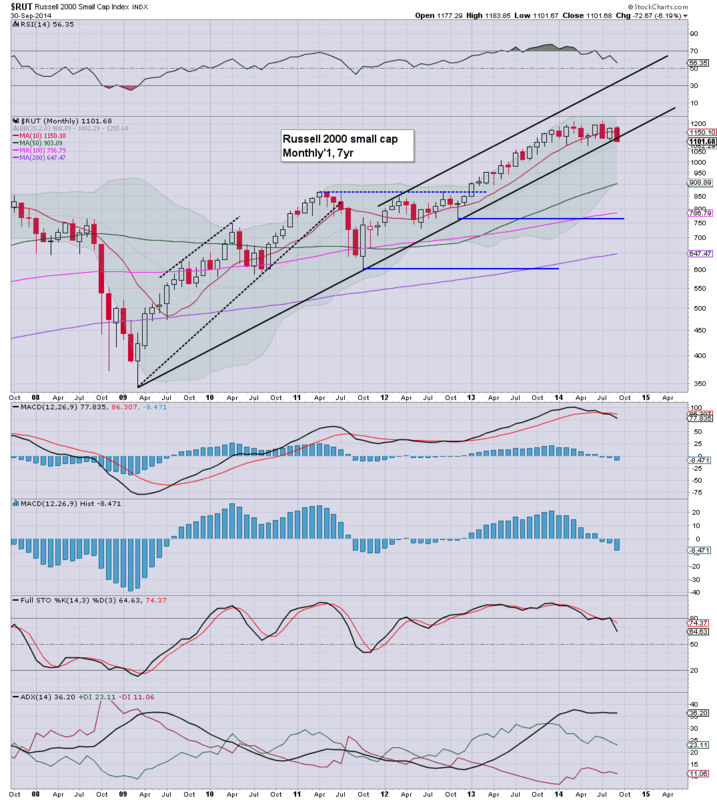 So, net monthly declines for September, but the primary trend remains intact for the market as a whole. 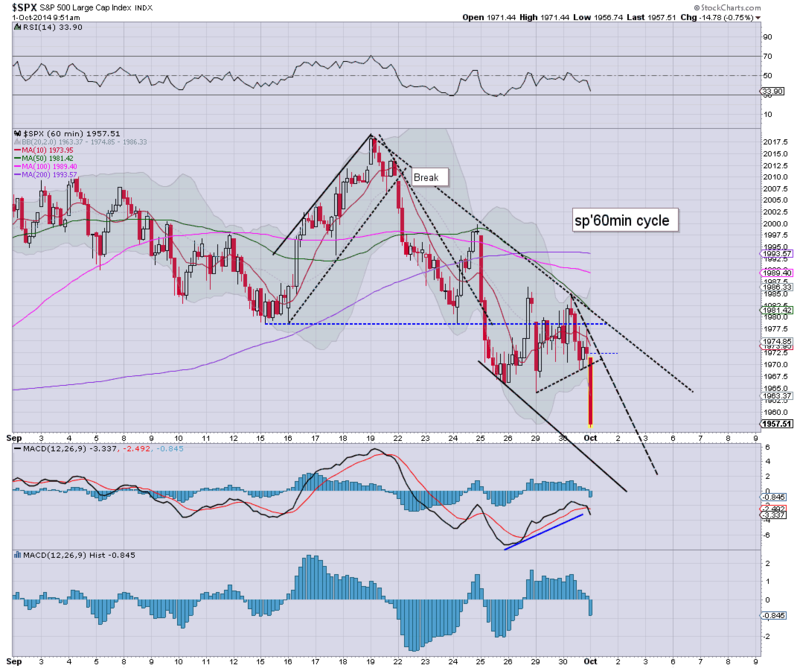 Yes, I realise the R2K has breached rising support, but this is just one index, and the others are still intact. 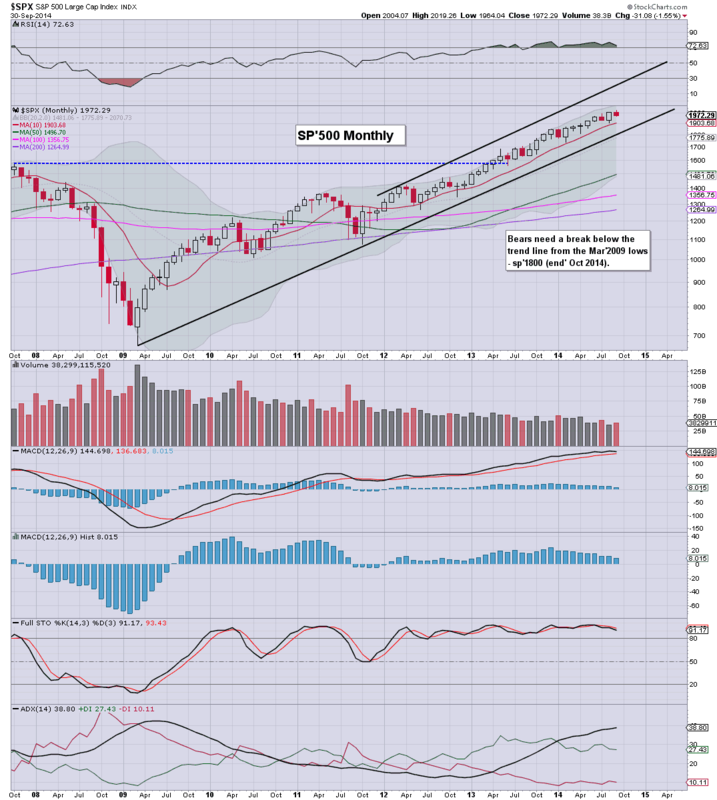 Until the equity bears attain a monthly close under the monthly 10MA on the sp'500... 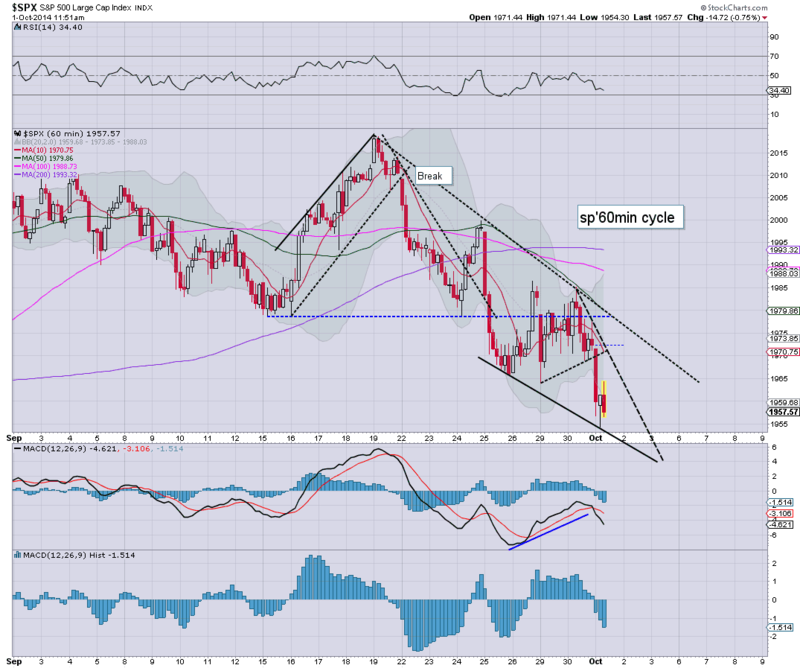 I still can't get overly confident on the bearish side. *next QE is Thursday.. but a mere $1bn. I should have bailed on my index-short at the Monday open... but I had another chance this morning, and I took it (stopped out at sp'1972). A reasonable gain, considering the relatively minor weakness. I was kinda tempted to go long this afternoon around 1972/69...but refrained. As things are, I've little interest in attempting another index short in the near term, price action no longer supports it. 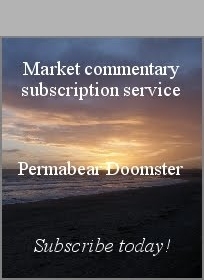 The only issue is whether it is worth going long ahead of the Friday jobs data. US equities closed moderately mixed, sp -5pts @ 1972 (intra range 1969/85). The two leaders - Trans/R2K, settled -0.5% and -1.4% respectively. Near term outlook is somewhat mixed, but with the bears recently failing to display any sig' downside power, new highs look likely. *the R2K got hit hard in the closing minutes, I'm not sure if this was due to index-rebalancing or some kind of major sell order. So... today was bit of a real mess. I would think few traders will have escaped being chopped to pieces with today's price action. Overall though, equity bears are failing to show any real strength, and it'd seem new index highs are viable in October... well, except in the R2K.